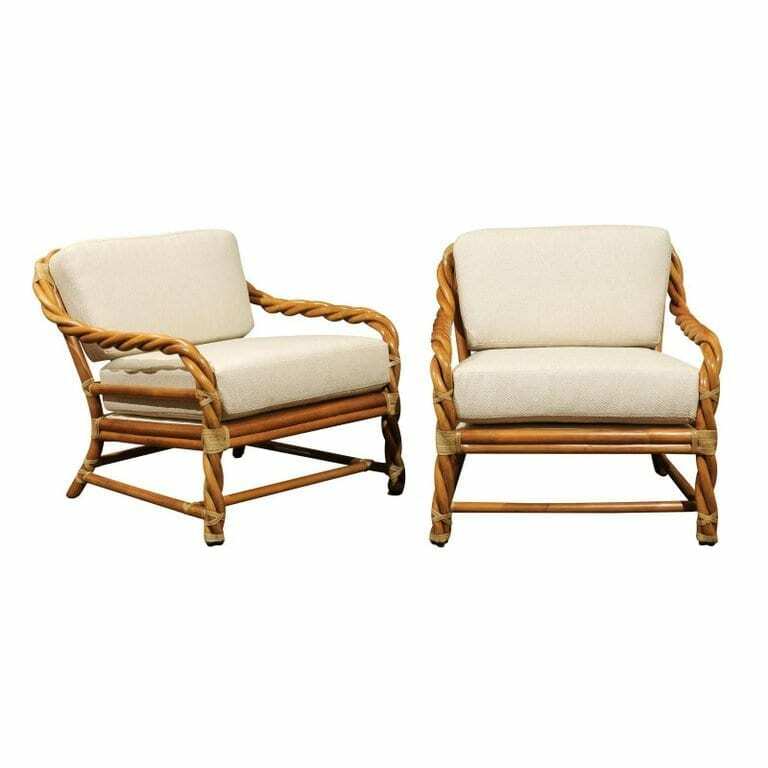 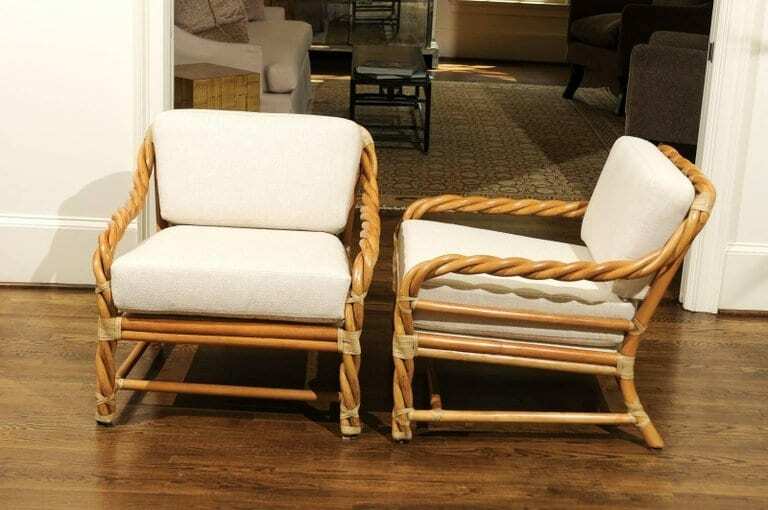 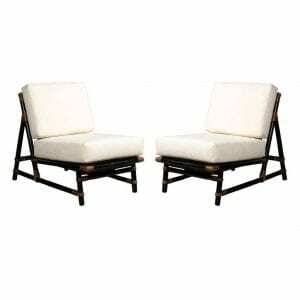 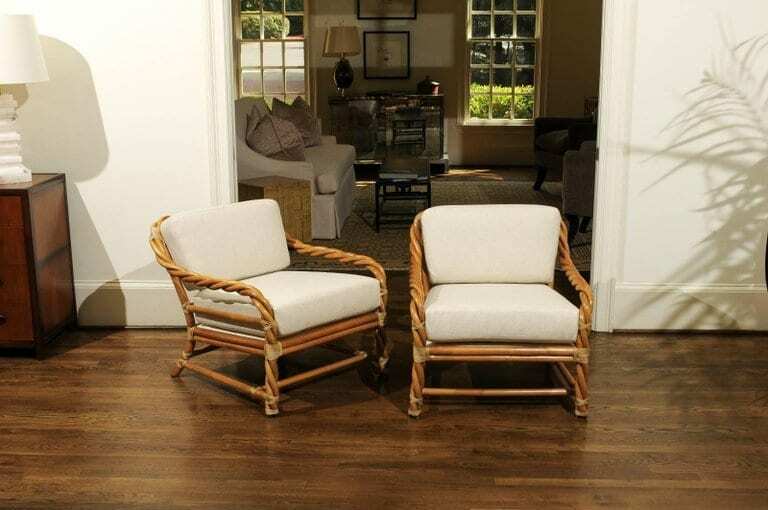 A beautiful pair of loungers from a difficult to find series by McGuire, circa 1980. 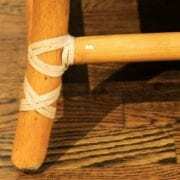 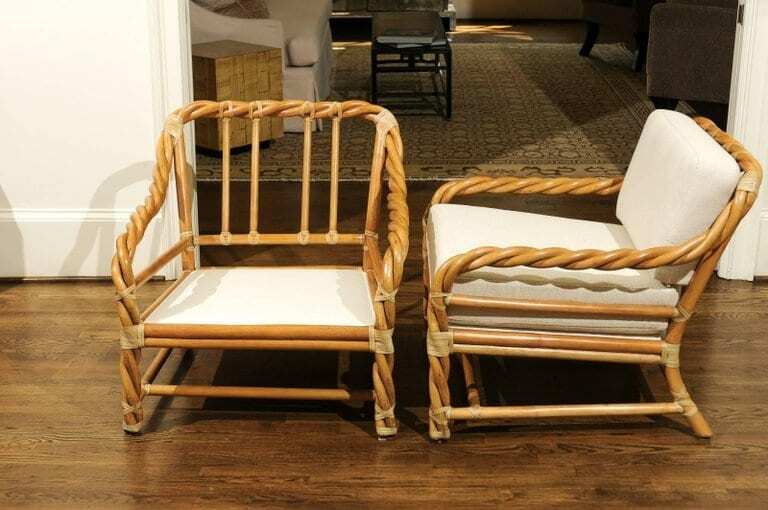 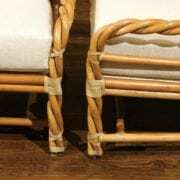 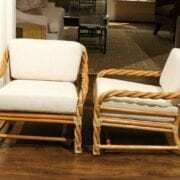 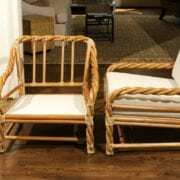 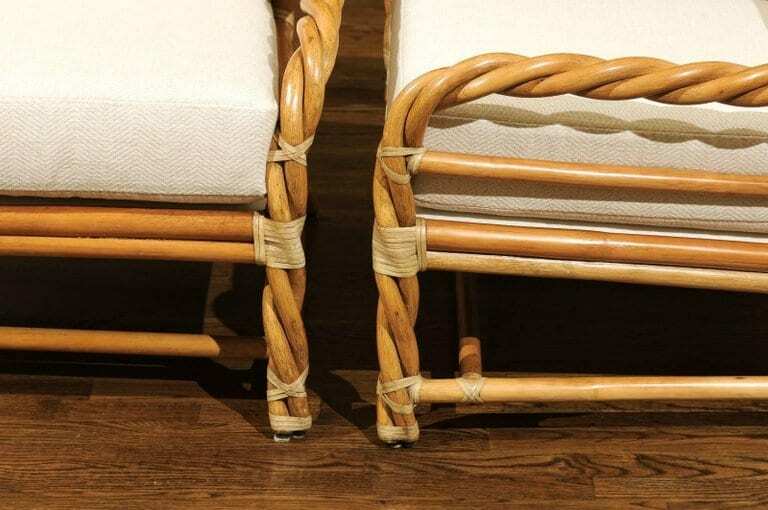 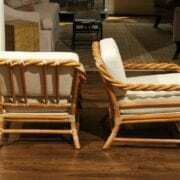 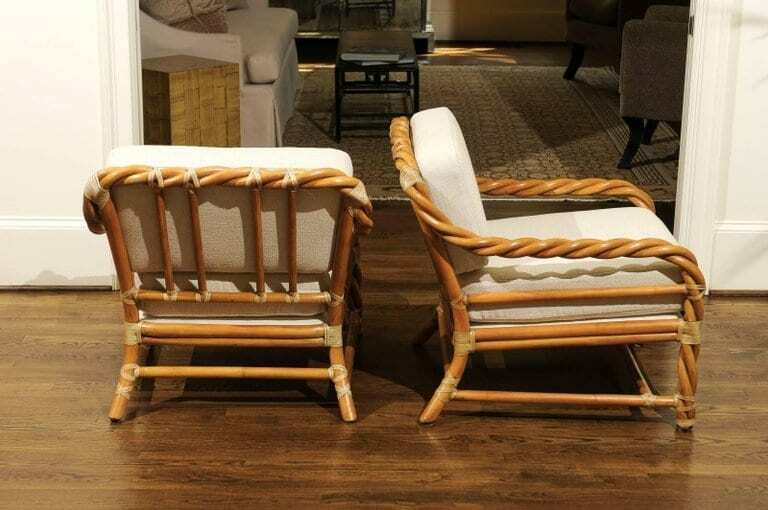 Clever braided rattan design with binding accents in rawhide. 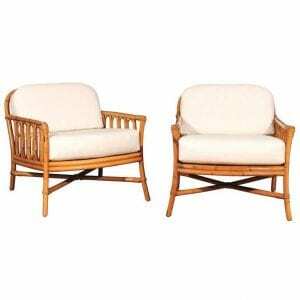 Painstakingly crafted with superb attention to detail. 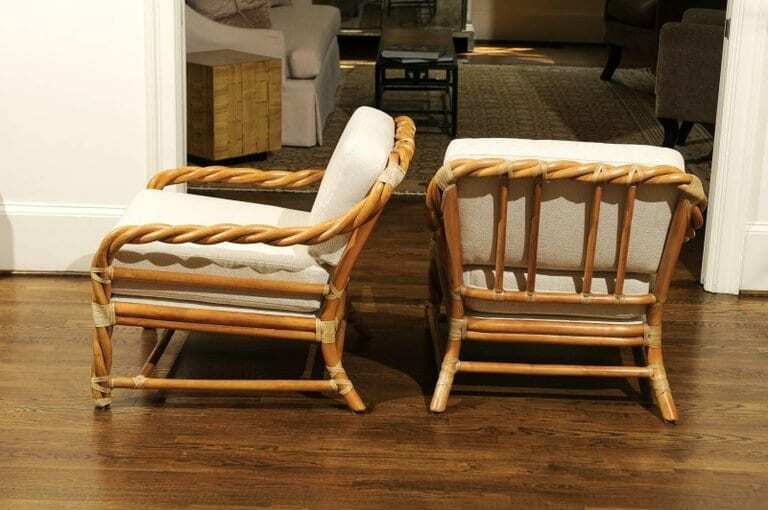 This particular design is coveted by McGuire enthusiasts. 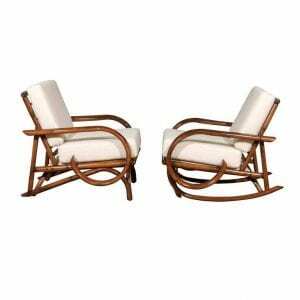 Exceptional jewelry! 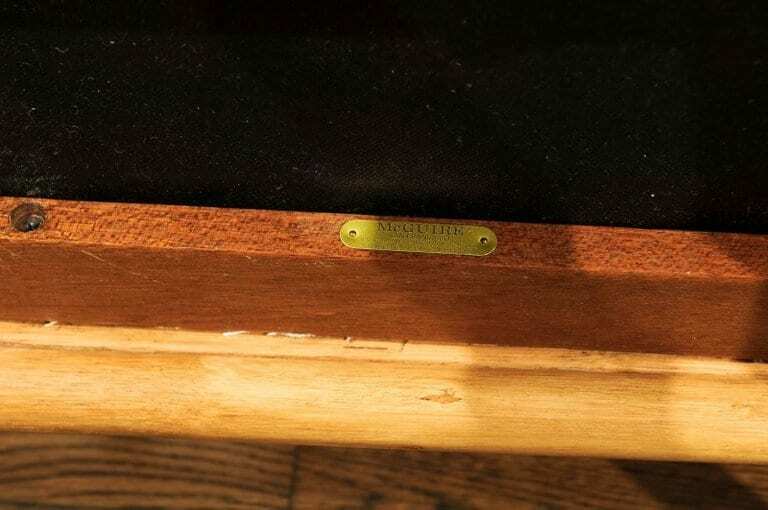 Excellent restored condition. 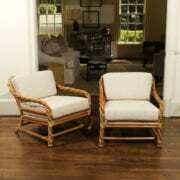 The chairs have been professionally clean and re-lacquered. 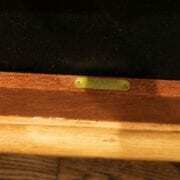 The pieces display a fabulous patina, depth and lustre. 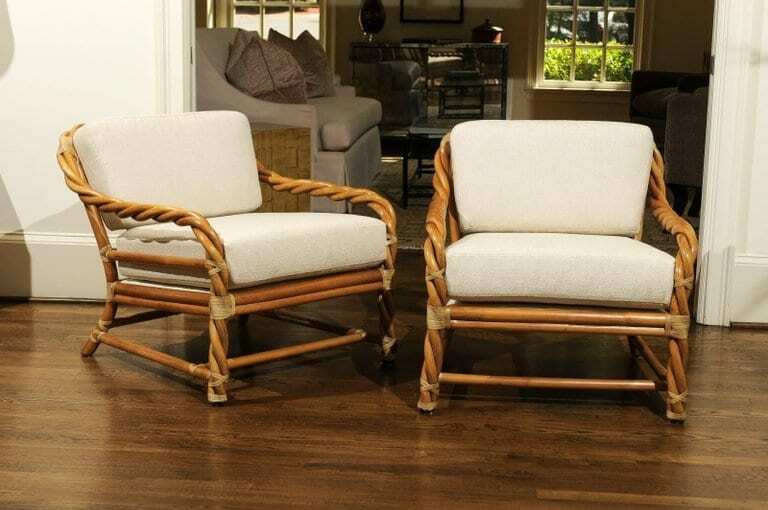 Expert custom upholstery in a fine neutral textured Brunschwig and Fils fabric. 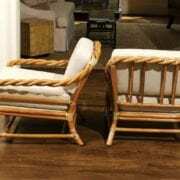 The arm height is 20.5 inches. 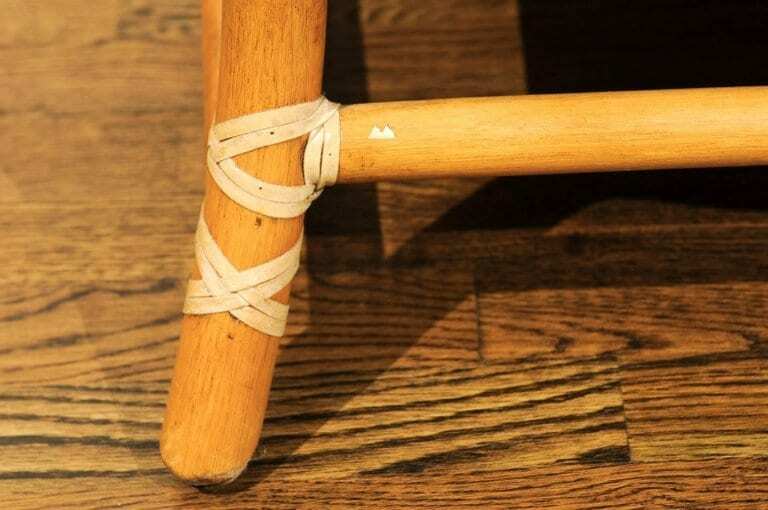 Retains the maker mark. 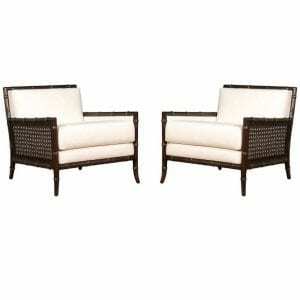 The price listed is for the pair. 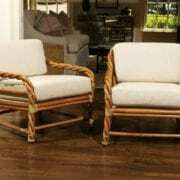 Expert custom upholstery service is available.